How do I make money from home so I can spend more time with my children? Each day, I get Instagram DMs, Facebook messages and emails from other mums, asking me this question because they want to stay home with their kids too. Living a simple life helps. Our only financial priority at the moment is paying off our mortgage as soon as possible. Plus, I love to cook and bake, so meals and our grocery budget are quite small.. and I have plenty of time to spend in the kitchen because I'm at home most days. We don't need a lot of money - we can live off my husband's income - but it's nice to have extra money coming in that can work around our family life. It helps us pay off our mortgage faster, build savings for emergencies and special treats, and gives us the freedom to make decisions about life based on what we want to do rather than what we have to do. If you're looking for the same kind of simple, happy life - this post might help you! Here's how I personally make money (or have previously made money) from home. I blog here at Beautifully Organised, and I also run a YouTube channel. I used to get paid through Adsense for my YouTube videos, but right now I don't meet the new partner qualifications, so that income stream is on hold. Most of the money I make through my blog and vlog is from sponsored posts, affiliate links, and selling my own printables & digital courses. 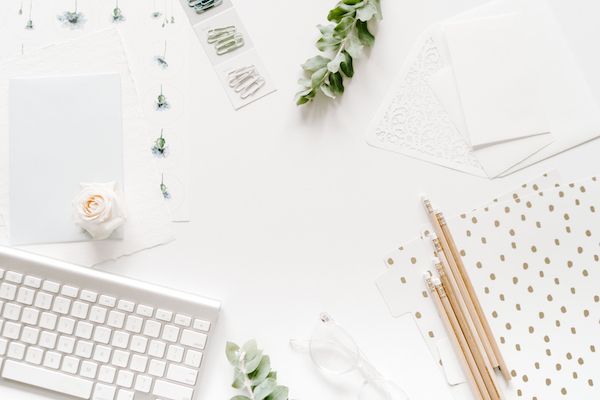 It took me a while to set up these income streams because I spent my first few years stumbling through it and learning really slowly about the tech, growing my audience, pitching brands, making printables, creating online courses, and selling online. I think if I started now instead of in 2011, I would have saved a lot of time and effort by using the resources from the Genius Blogger's Toolkit - it has everything you need to get up and running and start bringing in money using your blog & social media for under $100. Working with other bloggers and entrepreneurs. This is one is really fun - I get to talk about all the online entrepreneurial stuff with other people who love it too. My poor husband - his eyes would glaze over every time I started talking about blogging, marketing funnels, launches and sales.. its just not his thing. But I could talk about it all day.. So when people started asking me how I personally simplified working online (I only work 2 hours a day, 10 hours a week) and what hacks, tips, funnel insights and sales techniques I used, I was happy to share what worked for me! I currently work with 3 - 5other entrepreneurs at a time, helping them simplify their online presence while they grow their businesses with social media and consistent content. I also share tips here. If you're not a blogger and don't want to run your own business, but you can type well, transcription could work for you. I did it for about a year to supplement my income, and it's helped us when we needed a little extra cash in a hurry (they pay weekly). But the pay is practically nothing per hour, so you have to love it and you need to be really efficient. I would only recommend this if you have no other choice. Although it was fun typing up celeb interviews! I did this when the kids were babies and I had a good couple of hours available while they napped. It was a simple setup, I had a Facebook page to promote the ironing service, I'd take on a couple of clients a day and I'd watch a movie while I ironed and the baby slept. This one is interesting - I've tried Swagbucks a few times with practically no success. But this year, things are different and it's becoming a nice little side income to add to our basket that takes practically no effort. You accrue points through completing actions on their website and then swap those points for gift vouchers (great for buying Christmas gifts) or my favourite, PayPal vouchers (real money in my account, woohoo!). Most of the actions on Swagbucks - playing games, taking surveys, watching videos - are huge time wasters, and I don't recommend doing them. Sometimes I'll answer a question or take a survey, but it's never really been worth it for me. You can also earn points through cash back shopping. Say you wanted to buy an Oroton handbag online - instead of going to the Oroton website, you click through to it via the Swagbucks website, and you'll earn a small percentage back on your purchase in terms of points - which go towards your total to redeem via PayPal. I don't shop a lot online, but have plenty of readers, viewers and friends who do. So I share my Swagbucks referral link with them, they sign up and get points when they shop, and I earn referral points that go towards my PayPal vouchers. This referral process has been my most successful way of using the site to earn extra money. It helps to have a following online to make it worthwhile, so if you're a blogger, this would be great for you too. Out of all of these options, blogging / vlogging is definitely the one I recommend if you want to stay home with your children and earn some extra money. My blog and YouTube channel fit into my every day life - I post about organising, cleaning, cooking and parenting. So I basically film or write about stuff I'm doing anyway. You could do this with anything - look at any hobbies you have, or things you are good at. What could you share with other people? Could you teach them, relate to them, entertain them? Maybe blogging is for you too! * This post contains affiliate links - if you make a purchase via my links, I receive a small commission.